Accreditation Changes Officials’ Perception of Police Department | CALEA® | The Commission on Accreditation for Law Enforcement Agencies, Inc.
One of the many benefits experienced by the Evesham Township, New Jersey Police Department as a result of CALEA Accreditation is that the elected officials’ perception of the police department has improved immensely, as has the department’s relationship with the governing body and the community. And, it was accomplished in a relatively short period of time. The department received its CALEA Recognition Through Alliance award through the New Jersey State Chiefs of Police in 2007 and it immediately began the self-assessment phase for CALEA Law Enforcement Accreditation, achieving the award in November 2011. When we first started our journey with professional credentialing, many elected officials and those in the community held negative perceptions about the police department, primarily because of how the department provided policing services and operated under outdated policies. Soon after we started the law enforcement accreditation program, Evesham Township elected a new governing body, which included a new mayor and several new council members. Upon taking office, Mayor Randy Brown and the rest of the governing body began to identify and address the concerns of the residents, as did the police department. We found that through compliance with the standards, it allowed the agency to shift away from those previous practices and begin a more structured, community-based model of policing. Mayor Brown has attributed the police department’s success in changing the negative perceptions about the department, as a direct result of the achievement and maintenance of CALEA Accreditation. He noted three beneficial aspects of the accreditation process that changed perceptions, the first being the improvement of community relations. When the mayor would go to different civic and community meetings and listen to residents talk about the “good” and “bad things” going on in the township, he realized the police department was no longer receiving any of the “bad” comments. The residents of Evesham Township recognized the community-based policing model developed through the accreditation process had succeeded in changing the department into a professional agency that was providing critical and necessary services. The second beneficial aspect of the accreditation process that changed the perception of elected officials was the creation of a partnership between the police department and the governing body. There was no longer an adversarial relationship between the two entities, as had existed previously. The accreditation process had brought about a definitive change in the way the police department conducted activities, both internally and externally, and in the level of professionalism exhibited by members of the agency. The elected officials were not dealing with police department issues and the police department was now focused on providing excellent services to the residents. A true collaborative team effort was now present in the township. The third beneficial aspect of the accreditation process that changed the perception of elected officials towards the agency was the ability of the police department to do more with less. The concept of efficiency has taken on a new role over the past several years as a result of the changes in the economy and the police department was faced with the challenge of providing ongoing services with limited budgetary allocations and reduced personnel. The accreditation process taught the Evesham Police Department to develop policies and procedures and to implement a policing model that addressed the issues at hand. It also taught the agency to allocate the limited and decreasing resources in a manner in which the community continued to receive the high quality and quantity of services it deserved. As a result of the uninterrupted cycle of service to the residents, elected officials took note that the police department could successfully accomplish this, even as other departments within the township could not. As a result of the CALEA accreditation process, the relationship between the Evesham Police Department and the governing body is best described as one of trust, as has been voiced by Mayor Brown, as well as the other members of the township governing body. 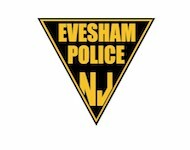 The elected and governing officials trust that the decisions being made within the Evesham Police Department are correct and proper, because the results of those decisions have been successful and beneficial to the community. In conclusion, the Evesham Police Department has realized many benefits from being involved in the CALEA accreditation process on a continual basis. However, none are as satisfying or important as the vastly improved professional working relationship achieved with the governing body and residents. The agency has succeeded in earning the trust of both, an achievement which is highly respected and valued by all members of the Evesham Police Department.